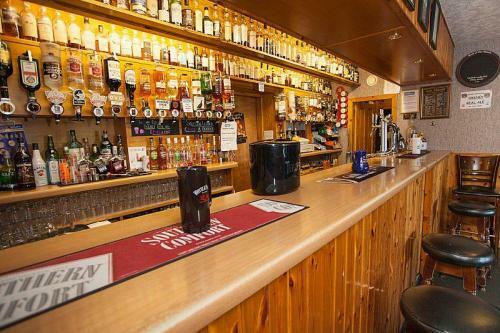 Why not sit back and relax in our newly refurbished public bar with a beer from our extensive range or sample the award winning real ale from The Highland Brewing Company in Orkney, or sample one of our 130 malt whiskys. You can enjoy a game of pool, or darts in our bar, watch the 50" TV, have a hot meal, meet the locals or just relax and unwind. Our bar has a silver award for Whisky Bars of the World ask our staff who have a knowledge of malt whisky to help you choose from our collection. We can also arrange whisky tasting evenings for those who wish to sample and find out a bit more about our national drink. The bar is open daily from 11am til late.